I finished reading Don Juan McQueen by Eugenia Price this week. I am still reeling from the experience and despite a lengthy, and somewhat productive, trip in May visiting some of my favorite old Florida spots, the homesickness, thanks to the book, is creeping up on me again. Eugenia Price had a way of describing people and places in the south and Florida that can’t be matched. So strange to be able to “live” in my home state through her real life character’s eyes and fall in love with it all over again from his point of view. Sigh…I don’t know how long it’s going to take me to recover. When I was very small, we lived on a farm in the middle of a large orange grove, then moved to the city, then way back out into the country to a wild piece of land in Florida. The first time we were able to explore the property, I was ten years old and my sister was thirteen. Dad led us mucking from the dry, civilized area of the property, back into the sometimes shin deep wetter portion. It was a genuine swamp full of massive trees, hanging vines, the ever-present saw palmettos, and cypress knees. I had until this point lived with an almost constant fear of alligators. They were endangered when I was a kid, their numbers severely declined, but to me it seemed that they were everywhere. By this age, I had even given up swimming in Florida lakes because it suddenly didn’t make sense. They were out there, just beyond the swimming area, and it occurred to me as my mind matured, that the silly red and white striped rope that separated our zone from the rest of the lake was not going to keep the gators on their side. So it still amazes me that I fearlessly stomped off into the muck behind my dad. I thought he was invincible, braver than Daniel Boone and more wilderness savvy than Grizzly Adams and I felt pretty sure of my safety when I was with him. On this particular occasion, however, his fear thoroughly rattled me, especially because it was one of the few times I had seen him shaken and nervous. We were following along behind him, stepping where he was stepping while ceaselessly swatting the mosquitos that were viciously attacking us from all sides, when Dad said quietly, “Go back!” My sister and I didn’t listen or obey very promptly on most occasions, but sensing the urgency in his manner, we did as he said and immediately turned around and headed back up the way we’d come. I kept whispering, “What?” “WHAT? !”, but he wouldn’t answer, just kept herding us out of the swamp. When we finally reached the dry, grassy portion of the yard he explained. We had stumbled right upon a baby bobcat. Having grown up in the wetlands of Florida, he knew that where there was a baby, the mother would be nearby. I had never seen one and was a little disappointed that I’d missed seeing a kitten of a bobcat, imagining that it would be as cute and cuddly as one of my favorite stuffed animals, a miniature spotted leopard. It wasn’t until a few years later when we found our heavy-gauged wire constructed rabbit hutches that hung a good 3 1/2 feet off the ground destroyed by what could only be a wild cat, that I realized that we were indeed in real danger the day we had ended up in the company of the baby bobcat and possibly its mother. It was a horrific experience, to say the least, discovering the mutilated bodies of our rabbits, and after a second batch of bunnies met the same fate, we gave up altogether on the rabbit raising. My dad electrified the fence and let our black lab have free reign in the back, cleared section of the property that bordered the swamp. He then, courageously, spent a few nights on top of our storage shed with a flood light and rifle within reach. He never did see the bobcat, but our fence was disturbed often enough for him to be sure that the old cat was still prowling around in search of prey. It seems a little crazy now, but on up into my teen years, I still stomped back into those woods with Dad to go fishing. I remember the day that we brought up a stringer full of Red Breast and Blue Gill and had a big “fish fry”. He loved fish fries and still does. It was great growing up in Florida because there was always a plentiful supply of fresh seafood. My dad is allergic to saltwater shellfish, so even though he loves them, he never gets to eat or handle shrimp, crab or lobster, at least not without swelling up and putting his very life in danger. He discovered that he could eat freshwater blue crab, however, so frequent trips to the northern Central Florida springs would always result in a fish fry including the sweet Blue Crabs that he could eat. Other fish fries featured oysters that we had scraped from the pylons on which they grew and shucked ourselves or clams we had dug with our toes. Sometimes we would come home from school and find three lobsters in the refrigerator that my parents had purchased earlier in the day at a local fish market. They would be cooked for my mom, sister, and me along with Dad’s fried fish and hush puppies with homemade tartar sauce and coleslaw. I was thinking about those fish fries when I was blackening the tilapia for fish tacos and realized my kids would have no idea what I was talking about if I told them we were having a fish fry. Of course they would realize that fried fish would be involved, but sometimes I wonder what is wrong with me. How could I forget to pass these important traditions on to them? We don’t live in Florida, so we don’t get high quality fresh fish from our grocery stores which is ridiculous considering the fact that we live in a state that edges the Atlantic. But still, I can do better than this. The blackened tilapia was delicious, the fish tacos incredible, but next time I need to do it right and show the boys that their mountain momma is still a Florida girl at heart. Update: Thanks to a new seafood market in our small town and my favorite local grocery store adding a fresh seafood case to their meat department, a real fish fry is in the planning. My husband won’t be too thrilled by the prospect but I think a steak and potato, maybe a slice of Key Lime Pie and a tall glass of sweet tea that day would make him happy. 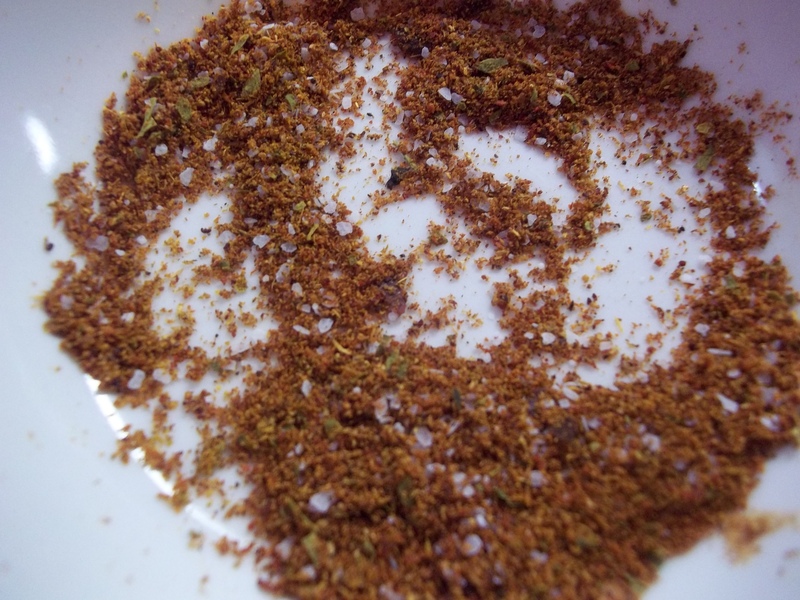 Combine salt, chilli and curry powders, and pepper. Coat both sides of each fillet with the spice rub. Heat a cast iron skillet over high heat until it is smoking hot. Drizzle or brush a very small amount of oil on the surface. 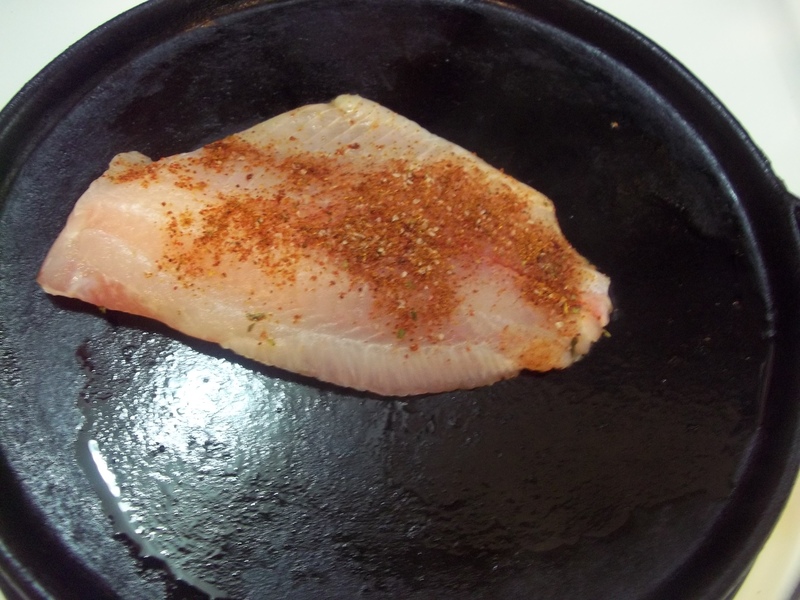 Lay the fillets down, cooking one at a time, a few minutes on each side until done in the center. 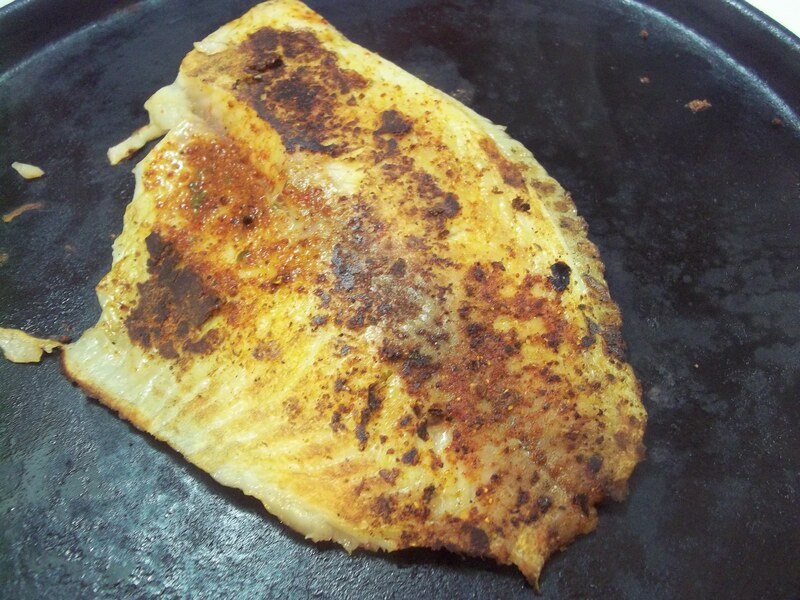 The flesh should give and flake away without denting, but be careful not to overcook and dry the fish out. The fish sounds great, but your description of Don Juan McQueen got my attention. I felt exactly the same way when I read the book! At that time I was living in CA, but the book made me want to move back to FL. A few years later I did move back to FL and now live just outside of St. Augustine. It’s great to be in his old city and to see the things he would have seen. One of his homes still stands at the Kingsley Plantation in Jacksonville and can be seen online. For years I avoided the whole state, thought I’d had enough of it. I realized it was the changes to Central Florida that I despised. Though the rest of the state has changed so much as well, I am amazed to find that most of my favorite places are just as I remember them. With the exception of the new Bridge of Lions, there was nothing like entering the city on the old bridge at dusk, I always feel at home walking through St. Augustine and seeing those familiar places I remember exploring as a child. I can’t wait to go back after reading the book. I will look up Kingsley Plantation. Thanks! Well, fortunately, the new Bridge of Lions is completed now and looks almost exactly like the old one. Concerning Don Juan McQueen, many local tour guides in the old city have no idea who he was and know nothing about him, even though the book is sold everywhere here. As Eugenia Price stated in the closing words of her book, the spot in St. Augustine where Don Juan’s house once stood is currently one of the few open spots of land along St. George Street. The spot of land is directly behind (north of) the Government House building, and is now the parking lot for Bank of America, easily seen on Google Earth. Don Juan owned land and plantations in areas of Jacksonville that we know locally as Ortega, San Pablo, St. George Island, Queens Harbour, and even some of the beach areas near Atlantic Beach. He is buried in St. Augustine in the Campo Santo cemetery, but his grave has been lost over the years. At Kingsley Plantation, the white plantation home you’ll see in pictures online is not the Don Juan McQueen house. His original house is actually the “kitchen” to the plantation house; it’s the three story building (ground floor made of tabby with wooden upper floors) directly behind the plantation house and attached by a covered walkway. Don Juan built this kitchen house around 1791. Speaking of old Florida….Another favorite get-away for me is to take a drive over to Cross Creek, to the Marjorie K. Rawlins home place, and to Micanopy. Those places are still ‘Old Florida’ and little changed. 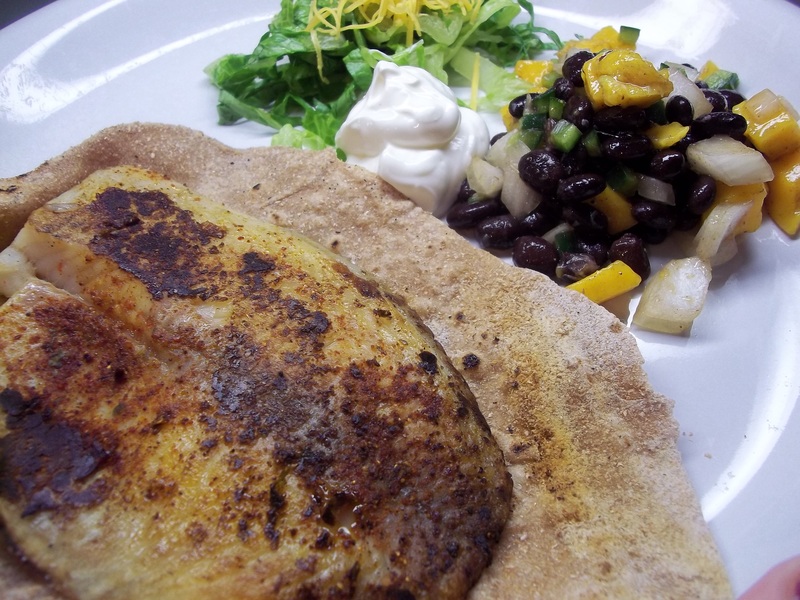 …PS ~I’m looking forward to trying your tilapia recipe this week. Thanks! Thanks for all the info! I loved visiting Cross Creek when I was a kid. And thanks for trying the recipe.